Setting the release date of theatrical films is almost a scientific undertaking. There are many factors to consider – including the optimization of the target demographic, in-theatre competition and the possibility of awards success. The Weinstein Company has a wealth of experience in this arena, which means any alteration to the release of a Weinstein Company movie is a notable event – and The Founder is no exception. The drama, starring Academy Award winner Michael Keaton, was originally due to arrive on the big screen in time for Thanksgiving – a prime window for family movie-viewing. The release was then changed to August, which put it on a collision course with Suicide Squad. This was an interesting choice, as there are two schools of thought on the best course of action with regard to tentpole movies. On the one hand, it is a viable option to release a movie against a giant film, like Suicide Squad, when it is sufficiently different in tone and genre as to offer a real alternative to cinema-goers. On the other hand, there is a risk that a film like Suicide Squad will simply swallow up all of the oxygen from the box office at the beginning of August, leaving little potential profit for a relatively low budget human interest story. But now, The Weinstein Company have moved The Founder again – this time to December 16th, with a wide release planned from January 20th 2017. This implies two things. Firstly, that having seen the film, the producers are filled with confidence, and secondly, that The Weinstein Company intends to push The Founder for Academy Awards consideration. For that kind of reaction to come from a production company like The Weinstein Company is high praise indeed, since the producers behind that brand essentially invented the modern awards campaign. The Founder has an impressive pedigree, as it is directed by John Lee Hancock (Saving Mr. Banks) and written by Robert D. Siegel (The Wrestler). In addition to Michael Keaton in the leading role, the cast includes Linda Cardellini, Patrick Wilson, Nick Offerman, Laura Dern, and B.J. Novak. 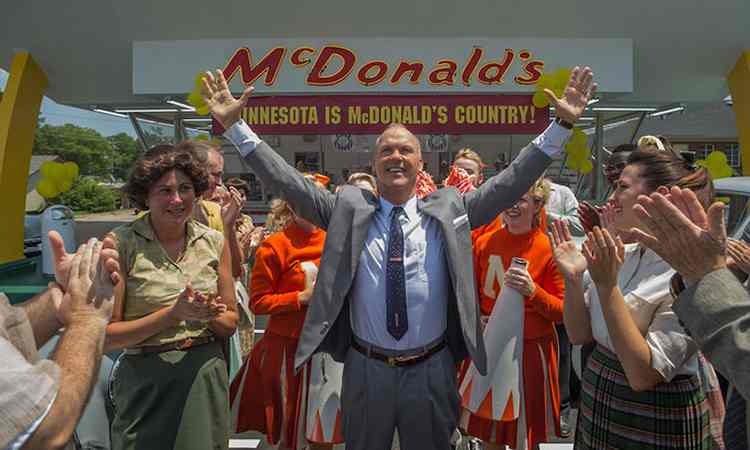 This – coupled with the involvement of The Weinstein Company, and the film’s new, Oscar-baiting release date – suggests that The Founder is perhaps the first clear Academy Awards contender of the year.